That's a lot of effort to go to for a bad horse joke, but don't worry, it's unlikely to be the last! 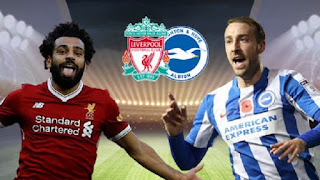 After overcoming two acid test games to start the season, Liverpool have a third test of their credentials to come on Saturday: a game against Brighton and Hove Albion. The Seagulls will travel to Merseyside fresh from beating their eternal rivals, Manchester United, 3-2 at home. Can the Reds continue their early season promise? Can Brighton hold off the Red onslaught? Not much to worry about for Liverpool: expect the same team to start as the previous two games. The effervescent trio of Roberto Firmino, Sadio Mane and Mohamed Salah will shine, but it’s the midfield trio of Georginio Wijnaldum, James Milner and Naby Keita who are impressing the most. Paring well with Trent Alexander-Arnold and Andrew Robertson, Liverpool look as exciting as they have done in many years. At the back, expect Virgil van Dijk to continue his blossoming partnership with Joe Gomez: Dejan Lovren, watch out! 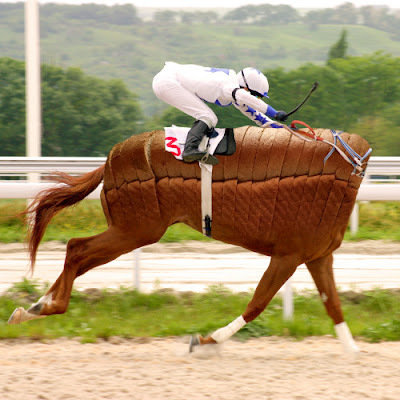 Meanwhile, Brighton arrive at Anfield with one win and one loss. They played poorly on their opening day before absolutely outclassing United over 90 minutes. The 3-2 scoreline flatters the Red Devils; Brighton were outstanding. Expect a similar line-up here, with Dale Stephens and Davy Propper offering zeal in the middle and Pascal Gross offering the attacking impetus from the middle three. Up top, Glenn Murray will need plenty of overlapping runs from Solly March and Anthony Knockaert; though full-backs Martin Montoya and Bernardo will need plenty of cover to handle the Reds pace out-wide. This could be a tricky one for Liverpool. Brighton are a good team, and will provide more of a threat than perhaps expected. However, we can see Liverpool edging this one: though, with the pressure already on after two games, it’ll be interesting to see how they handle Brighton. As far as opening fixtures can go for a title defence, a trip to Arsenal is about as harsh as it can get. 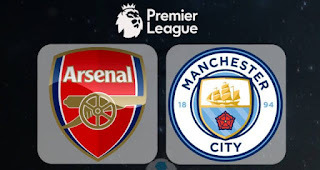 However, with the reigning champions in good form in the pre-season and Arsenal still trying to find their form and shape, can Pep Guardiola get the Unai Emery era off to a similar start to the Wenger era? While some of their new signings like Lucas Torreira might not come in for this one, this is a new look Arsenal side. Some new signings but a crucially different style of play is immediately apparent, and it shines through in just about every area of the Gunners side. We can expect them to line up with something approaching a similar line-up, as Emery gets his new signings in the door. An interesting switch, though, is that of Pierre-Emerick Aubameyang to a more wide position; he’s playing off the left mostly, which should add a bit of a change to the Arsenal attacking dynamic – and crucially free of Alexandre Lacazette. Nothing really to say on the City line-up; like many of the top sides, they will be limited in numbers for the early weeks. With young Brazilian Douglas Luiz set to get a work permit, he could come in to this game without much issue: he already looks like a prime Pep player. New signing Riyad Mahrez might play, too, and will provide City with further depth in the attacking areas across the season. An away win feels likely – Emery has done a good so far at Arsenal, but the shift needed to overcome their present limitations won’t come overnight. 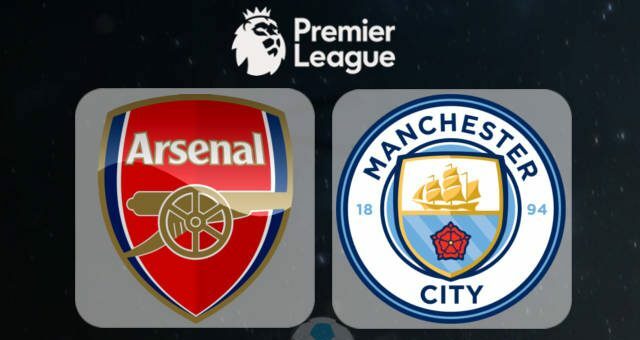 Unless City start like so many champions defending their crown, we cannot see Arsenal being able to stop a hugely determined City side on the opening day.